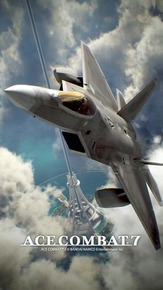 Leveraging the trueSKYTM technology and developed utilizing Unreal Engine 4, Ace Combat 7 will astound players with beautifully rendered skies and highly detailed cityscapes but also set the stage for the most engaging aerial battles in the franchise’s storied 20 year history accompanied with an immersive soundtrack. Ace Combat 7 will take the elements that the series is known for to a whole new level! 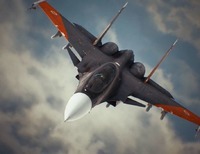 Aces who have proven their combat prowess in Ace Combat 7’s campaign mode can take their dogfighting skills further with furious online multiplayer battles. PlayStation4 players will also be able to get immersed in ACE COMBAT 7’s realism through exclusive features developed specifically for PlayStationVR. ACE COMBAT™ 7: SKIES UNKNOWN - PS4 Japanese Ver.